Whether you're catching up on the latest show on the Internet or viewing documents, the BenQ GL2460HM LED monitor is the perfect choice for you in style! Featuring a dynamic ratio of 12M:1, HDMI connectivity, and 2ms GtG response time, this 24"W 16:9 LED monitor delivers every image detail with the best viewing quality. GL60 Series blends perfectly with any decor, adding a hint of low-key elegance to your living space with its high-gloss frame and base stand streamlined by a curvaceous neck that creates stunning visual fluidity. Beautiful from any angle, the back of the GL2460HM is carbon fiber patterned to recreate the powerful drive of a racing car and energize their whole appearance. Incorporating a 16mm slim bezel display, GL60 Series creates a sophisticated look while keeping things nice and compact. You'll find multi-panel configuration for home entertainment or office viewing use much simpler with less distraction from the monitor frame. 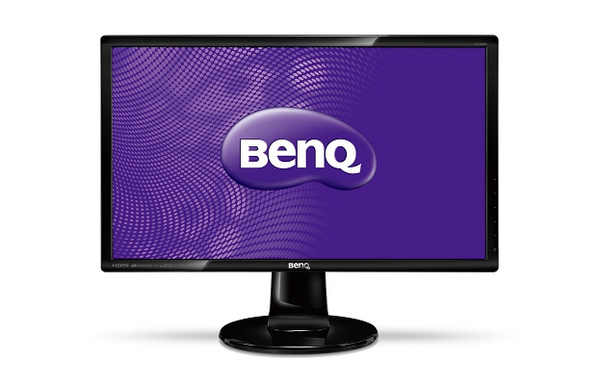 For a more comfortable reading experience, BenQ has adjusted the monitor's color temperature, brightness, contrast ratio and sharpness to create the all new Reading Mode which simulates the look of printed paper to help reduce the eye discomfort typically caused by prolonged and focused use of eyes on computer monitors. The latest HDMI high-speed multimedia interface* makes these monitors incredibly convenient to use -V now you can enjoy digital entertainment effortlessly even with additional multimedia equipment in the future. Experience the truest colors of the world with the BenQ Senseye® Human Vision Technology. With the help of its six proprietary calibration techniques, Senseye® 3 delivers only the best viewing quality in each of its pre-set viewing modes -VStandard, Movie, Game, Photo, sRGB, Reading, and Eco -V with the Eco Mode especially designed to save power and money. The GL2460HM has passed Windows 8 and Windows 7 certification and are fully compatible with both color systems. Plug in the GL2460HM to your computer, and Windows will recognize it instantly, making setup and connection effortless. The GL2460HM complies with the requirement of ENERGY STAR® Program for Computer Monitors, Version 5.1. Now you can enjoy saving energy and money as well as keeping the Earth lookin' great!